Because of my role as an OB/GYN and centenarian researcher, I am constantly reading up on the latest medical findings. While the benefits of fish oil for heart health and brain function are quite well known, I have begun to see an ever-increasing number of studies on how omega-3 fatty acids can have a positive impact on other health con-ditions. I thought I would share a few of them with you. Our eyes may be the windows to the soul, but they are also vulnerable to the effects of free-radical damage and chronic inflammation. While it has been confirmed that omega-3 fatty acids help enhance vision in in-fants, it can also protect our eyes as we age. Although cataracts and glaucoma are common among older people, the most frightening disease to attack vision is age-related macular degenera-tion (ARMD). ARMD is a degenerative retinal disease. The macula the area at the back of the retina that controls fine vision deteriorates, result-ing in central vision loss and even blindness. Personally, I can't think of anything more frightening than the prospect of going blind. Yet, ARMD is the most common cause of vision loss in Ameri-cans over 60. It's also the most serious and the odds just get worse as we get older. In fact, one in three people over the age of 75 are affected by ARMD. While family history and bad habits like smoking can increase your risk of developing ARMD, there is new evidence that high levels of dietary fat intake are associated with the progression of ARMD. And it seems the biggest culprits are saturated fat, trans fats, and omega-6 fatty acids. Yet, researchers at the University of Melbourne recently pooled data from nine studies and found that a high intake of omega-3 fatty acids may reduce the risk of ARMD by up to 38 percent. Other research has found that the balance of fatty acids in the eye can influence macular-degeneration risk, possibly by affecting the degree of inflammation. DHA may also help those already suffering from this debilitating dis-ease. According to researchers at the University of Rome, taking fish oil not only protects those suffering from ARMD against further damage, but it actually improves the vision of those taking the supplement. Even if you are spared vision loss and I sincerely hope that you are modern life can adversely affect your eyes. Watching television or working on a computer can reduce the amount of times we blink. This decreased blinking can result in the excessive evaporation of tears. Known as dry eye syndrome (DES), this condition afflicts more than 10 million Americans. Artificial tears offer only temporary relief. Expensive prescription drugs promise help, but at the cost of potentially serious side effects. 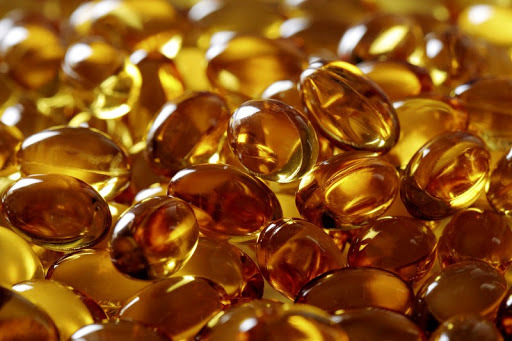 Is fish oil a viable alternative to these expensive and risky drugs? Yes, suggests research published in the American Journal of Clinical Nutrition. The trial, which was part of the Women's Health Study, found that wom-en whose diets provided the highest amounts of omega-3 fatty acids had a 17 percent lower risk of DES. In contrast, women whose diets supplied a high ratio of omega-6 to omega-3 fatty acids had more than twice the risk of DES syndrome compared to those with a more balanced intake of fatty acids. When you want to boost your immune system, you probably reach for vitamin C or echinacea. But preliminary evidence suggests that omega-3 fatty acids may prove helpful in protecting against certain infections and for treating a variety of conditions. This makes sense since, when they are in the right ratio, omega-6 and omega-3 fatty acids help to regulate im-mune and inflammatory responses. The all-important omega-3 fats are also essential immune boosters. They work by increasing the activity of phagocytes, the white blood cells that eat up bacteria. These fats also help strengthen cell membranes, thereby speeding up healing. Plus, omega-3s strengthens resistance to infection in the body. Because of the ability of omega-3s to tamp down rampant inflammation, researchers in Germany speculate that these fatty acids may help surgical patients and those with respiratory problems. Omega-3 fatty acid supple-mentation may also help reduce stress and the effects it has on the body. Vectomega is a natural, whole-food omega-3 fatty acid, and when tak-en, it is similar to consuming salmon in its natural state. However, taking extremely high amounts of other omega-3 fatty acids may actually inter-fere with the immune system. So if you have a chronic condition and are considering adding a high-omega-3 fatty acid to your drug or supplement regimen, I strongly urge you to consult your health care provider first. If you want to build strong bones, you should be taking supplemental calcium and vitamin D. But, when asked, I tell people that they should also take fish oil for their bones. In fact, I think that omega-3 fatty acids may be the missing link for healthy bones. Exciting research shows that omega-3s improve bone structure by boost-ing the absorption of calcium, maintaining bone mineral density, and re-ducing bone loss, especially in postmenopausal women. Omega-3s also ap-pear to help build bone mass and bone strength at least in young adults. A cohort study of 78 healthy young men discovered that those with the highest blood levels of omega-3 fatty acids had more bone mass and higher bone density at the hip and spine than those with lower blood levels. The EFA that seems to have the most impact is DHA. But simply increas-ing the amount of DHA you consume isn't enough. You must also reduce the omega-6 fatty acids in your diet. A survey of seniors in Southern Cali-fornia clearly shows that both men and women who eat more omega-6s have lower bone-mineral density.